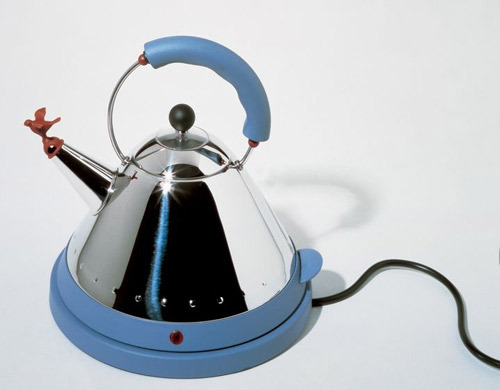 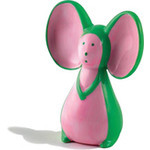 The famous Michael Graves kettle was the first product by an American designer to be included in the Alessi catalog. 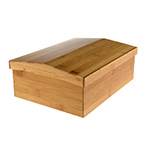 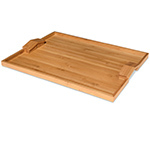 It has become one of the internationally recognized icons of the Eighties. 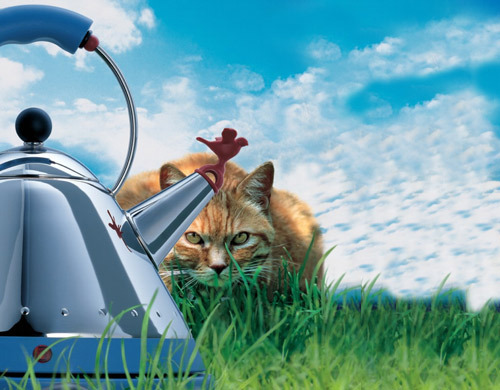 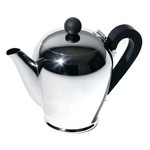 An Alessi best seller since 1985, this kettle is now being offered in a cordless electric version. 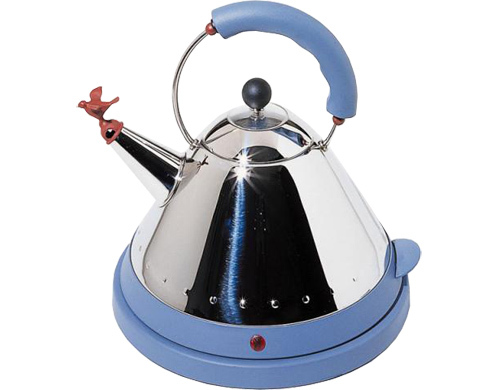 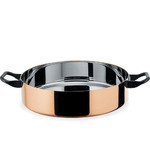 In stainless steel and with a mirror polished finish and thermoplastic resin handle and base available in light blue. 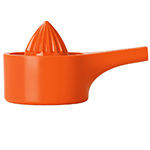 Also includes the classic bird whistle.